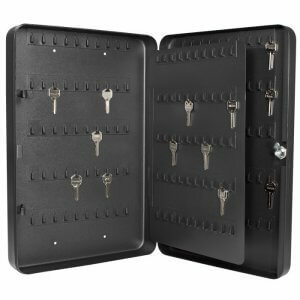 Keep valuables safe and secure with the Compact Keypad Safe by Barska. 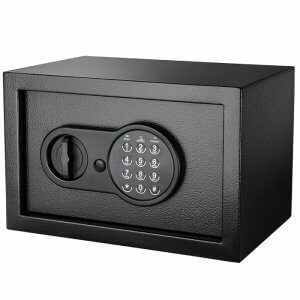 The compact dimensions of this safe allows it to be concealed in out-of-the-way places while providing enough storage space within to house multiple items. 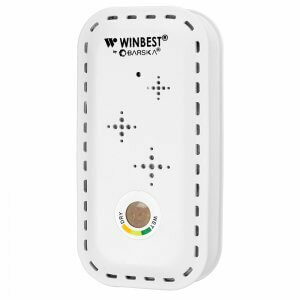 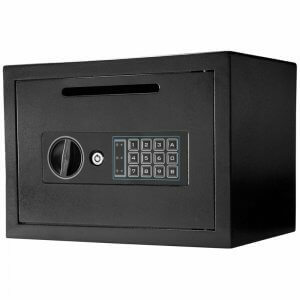 The user-friendly digital keypad retains 1 PIN Code for accessing the safe, and can also be opened with the included back-up keys. 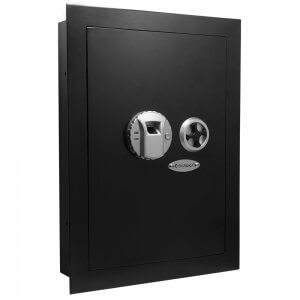 Two solid steel locking bolts provide extra security against tampering, and 4 mounting holes allow the safe to be secured to a flat surface. 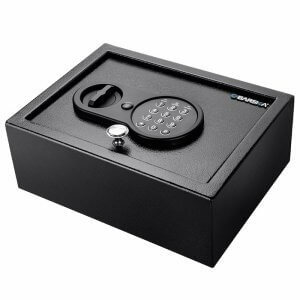 Barska's line of compact safes offer the perfect way to keep your small valuables secured. 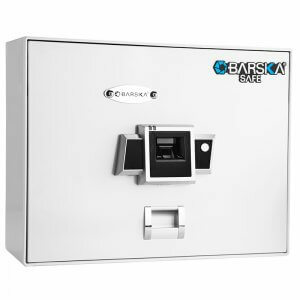 The compact size of these Barska safes allow them to be placed in discreet, out-of-the-way locations while retaining enough interior space to store multiple small items. 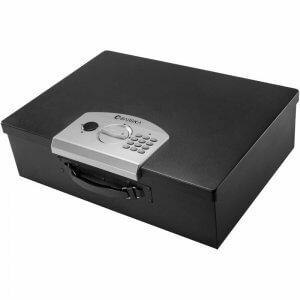 Barska Compact Safes are ideal for storing jewelry, money, passports, compact electronics, wallets, and much more. 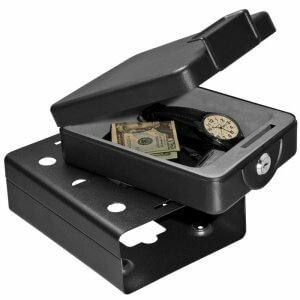 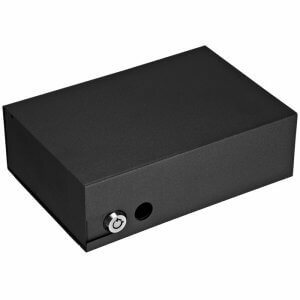 Pre-drilled mounting points and included mounting hardware allow the compact safe to be secured to a flat surface to prevent any unauthorized movement. 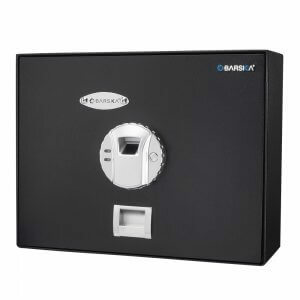 Barska's Compact Safes are backed by a 1 Year Limited Warranty.